Georgia Library PINES (Public Information Network for Electronic Services) is the public library automation and lending network for 300 libraries and affiliated service outlets in 54 library systems covering 146 counties (56 of the 63 library systems in Georgia). What does PINES have to offer library users? Service through 284 branch libraries and affiliated service outlets in 143 counties (53 of the 63 regional library systems) in Georgia. See list of participating libraries or find your nearest library. An easy-to-use Kids’ Catalog that exclusively for youth materials. PINES creates a statewide “borderless library” that provides equal access to information for all Georgians. Georgians with a PINES library card have access to materials beyond their local shelves and enjoy the benefits of a shared collection of 10.6 million books and other materials that can be delivered to their home library free of charge. If you are a resident of Georgia, you are eligible to receive a free PINES library card. Visit a participating PINES facility for additional information. PINES runs on the Evergreen automation system, an open-source system originally developed in-house by Georgia Public Library Service and now in use worldwide by more than 1,500 libraries. 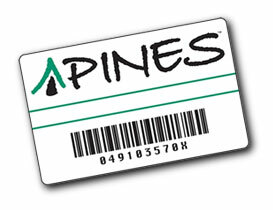 PINES is managed by GPLS staff and is provided at no cost to Georgia library systems. By utilizing economies of scale and eliminating the need for individual automation system contracts, PINES has enabled local libraries state-wide to reduce software expenditures by approximately $10 million a year.